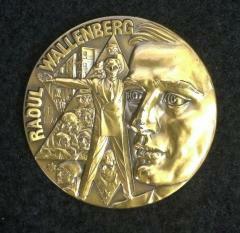 Raoul Wallenberg (August 4, 1912 – July 17, 1947?) was a Swedish architect, businessman, diplomat and humanitarian. He is widely celebrated for his successful efforts to rescue tens of thousands to about one hundred thousand Jews in Nazi-occupied Hungary during the Holocaust from Hungarian Fascists and the Nazis during the later stages of World War II. While serving as Sweden's special envoy in Budapest between July and December 1944, Wallenberg issued protective passports and sheltered Jews in buildings designated as Swedish territory saving tens of thousands of lives.